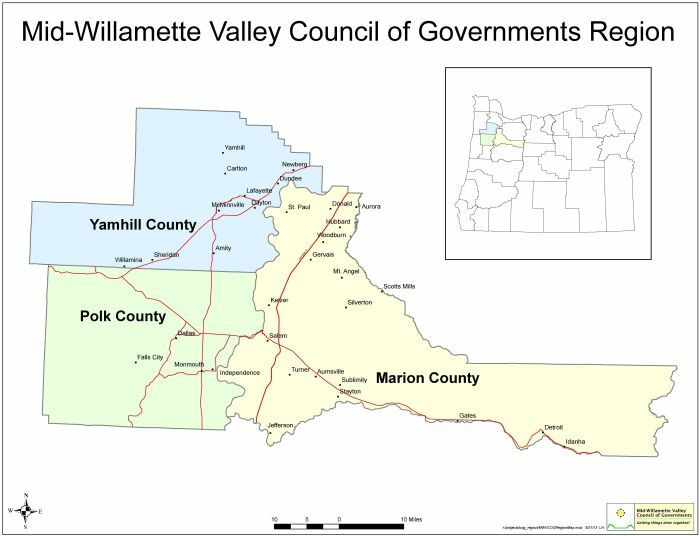 The Mid-Willamette Valley Council of Governments is a voluntary association of over 40 local governments. Members include Marion, Polk, and Yamhill counties, 32 cities, 5 special districts, and the Confederated Tribes of the Grand Ronde. Providing technical assistance and local services tailored to individual needs of member governments.